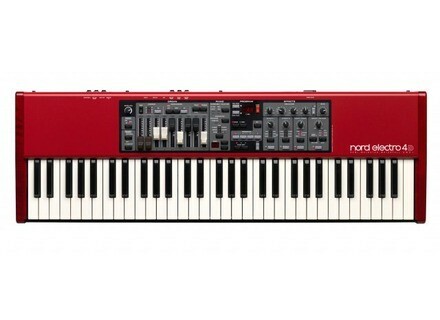 Nord Electro 4D, Digital Piano from Clavia in the Nord Electro 4 series. [Musikmesse] Roland F-120R The F-120R is an entry-level piano available in three polished cabinets: ebony, red, and ivory. [Musikmesse] Clavia Nord Electro 4D In time for the 10th anniversary of the first Electro, Clavia introduces the new Nord Electro 4D SW 61.